Some explanations as requested by Austrade Mongolia’s representative. First of all I would like to introduce myself briefly. I’m Bulganmaa Buuveebaatar, Founder of Gegeen Undarga Kholboo NGO in Mongolia, Director of Blue Water Accommodation & Study Services Pty Ltd, trading as Australian Study Consultants in Australia (Company profile is enclosed) and President of Mongolian Students Association in Australia Incorporated. 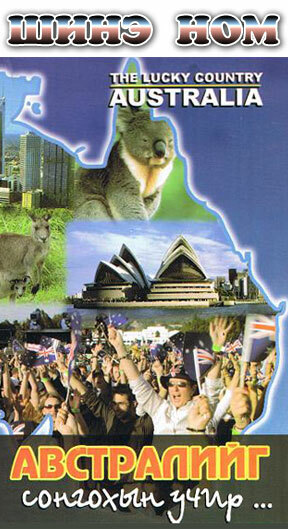 We work with close connections with Australian and Mongolian schools and recruiters, Mongolian Students Associations in other countries as well as the students, interested in Australian education or studied in Australia. Business wise my company goes global, but because I was born and grew up in Mongolia, but living in Australia, everything about Mongolia and Australia attracts my interest and spend nearly all my spare time to widen the gates for Mongolians, interested in Australia. 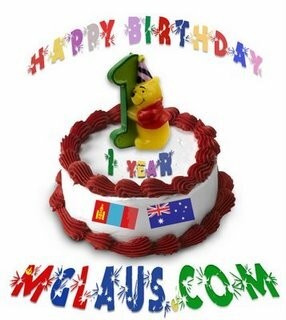 Currently we built the biggest email group for Mongolians in Australia, called MGLAUS which can reach to over 1100 Mongolians at the same time, who live or graduated in Australia. We were pleased to hear that a number of Australian institutions visited Mongolia to promote Australian education and supported the event by what we could do at that time by sharing their information for public to the people in our network. However, some potential students, who participated in the 1st event, organized in 2012, commented that their expectation was high like getting more information about life in Australia for students, visa issues, plus not only the school requirements, but also the tips about how to reach that point and support issues to settle down once getting there on top of the limited school information that was distributed them back then. This year, we were very happy to hear that this event is being organized again; therefore we requested more information from Austrade Mongolia on 10 May 2013 and got a reply from S’s email address on 13 May 2013, noting that only Institutions are participated. Then on 04 Sep 2013, we received an email from Mozzies, forwarding S’s email with many agencies contact and noticed that we are not in Austrade Mongolia’s mailing list. Subsequently I kindly asked to subscribe our emails: Mglaus-owner, Gegeen-owner, info, admin on 04 Sep 2013 from my personal address with no response and we requested again on 06 Sep 2013 from company address with the same result. We are still looking forward to get subscribed. P.S to S: I was first tagged on S’s personal Facebook profile’s photo about Future Unlimited by Batsaikhan Khashbat – President of Mongolian Students Association in Mongolia without my permission, which is quite common these days in Internet world. I never knew about some of the past events, but someone who thinks that I might be interested in or I might help with sharing to more people or just to get attention by reaching to popular profile’s thousands of friends, does these sort of things everyday. I had the positive thoughts about being tagged on S’s personal photo first and didn’t expect any opposite reaction at all. There is no hard feelings from my side anyway to be tagged or getting comments and I’m usually busy with the energetic bright students issues during the business hours, but there will always be a room for us to consume our precious time to discuss about good things hopefully. I admit that I publish a lot of un-official posts about life events or feelings with no specific filtering on my personal places and blogs, but saw some of my posts are shared or published on official websites or local news, edited by professional journalists sometimes. I still feel no regret of showing my ups and downs and draw my history with it’s own good and bad things and not very sensitive about what’s there about me and how others think about me; but I’ll keep in my mind that everyone is not like that. Mostly I avoid some frustrating news on Mongolian websites about famous ones, but gossip helps them back in some way I hope. And finally, thanks to Austrade Mongolia for organizing such event to bring happiness to many.